We know that advertising is key to marketing your business, products, and services. Coroplast lawn signs are a cost-effective form of advertising that will deliver your message to the public at exceptional value. We will provide you with quality and affordable coroplast lawn signs to help meet your marketing goals and objectives. Coroplast is a versatile and extremely useful corrugated plastic and an exceptional signage platform. It is an excellent choice for outdoor signs and has become an advertising staple over the years. It is tough, durable, weather resistant, easy to install, relatively inexpensive, and can be used anywhere. Here are just a few examples of how to implement lawn signs into your marketing plan. This is a classic use of coroplast lawn signs. Coroplast is an excellent material for real estate signage since its tough, weather resistant and durable. These signs are also lightweight and can be moved from location to location. This simple yet affordable marketing tool is effective at getting word out about your property to potential buyers. If you have a new business or want to create more buzz for your business coroplast lawn signs are an excellent way to do this. With the right colors and wording, you can make an eye-catching sign to present your brand. This will inevitably draw in customers and increase sales. Do you have a business that is mobile and yard-based? With corrugated plastic lawn signs, you can have your signs follow you wherever you want to take your business. They are light and durable and vividly communicate what your business is offering wherever you wish to set up shop. Are you running for public office? There is no doubt that one of the most effective and economical ways of getting your name and message to a broad audience is through coroplast lawn signs. You can distribute these signs widely and have your team easily collect them at the end of the campaign period. 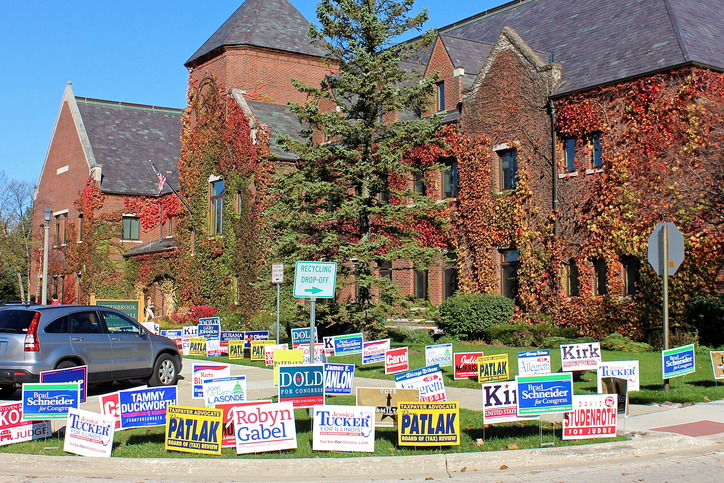 Coroplast signs are an effective and affordable advertising media for your political campaign. Why Choose Our Coroplast Lawn Signs? Our superbly designed, lightweight, but durable coroplast lawn signs are perfect for multiple uses including; real estate, construction, home-based businesses, garage sales, events, political campaigns among other applications. They are designed to be used multiple times, and you can easily stack and store them after use. For an effective and affordable media to advertise your business, products, and services call us today for quality and exceptionally designed coroplast lawn signs.